So I personally have given up on long, luscious lashes! I always depend on falsies whenever I have important events and even stopped using mascara on daily basis because I just felt that they do something --- but not enough! 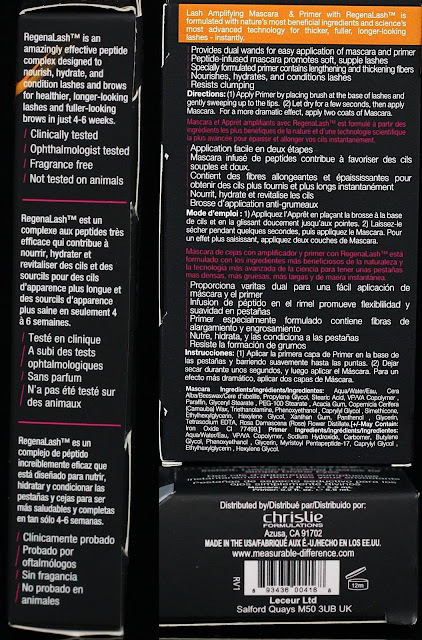 When Measurable Difference landed on my desk one fine day, I gave this product an immediate test! It is very easy to pinpoint which is which without twisting the mascara open because it is numbered 1 and 2. No clumps, no matter how many layers I apply. My lashes are definitely longer after use. Both brush are easy to use and size is just right. Consistency is just right, not too runny or too dry. Doesn't dry out my lashes. Not as huge difference as I would imagine! 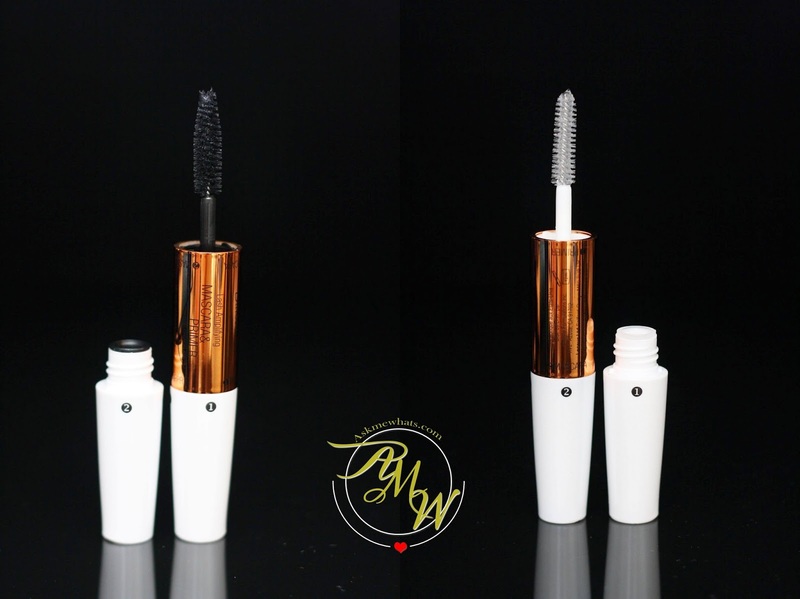 A good lengthening mascara that gives definition. Best to apply 1 coat of primer and let it dry for around 30 seconds before applying mascara. 2-3 coats. Curl lashes before primer application. Product is best used together with primer. I tried using just the mascara and the effect is better with primer. Lashes are glossier. Remove mascara well at the end of the day using Q-tip to prevent possible eye infection. Mascara wearers who prefer some lengthening action. 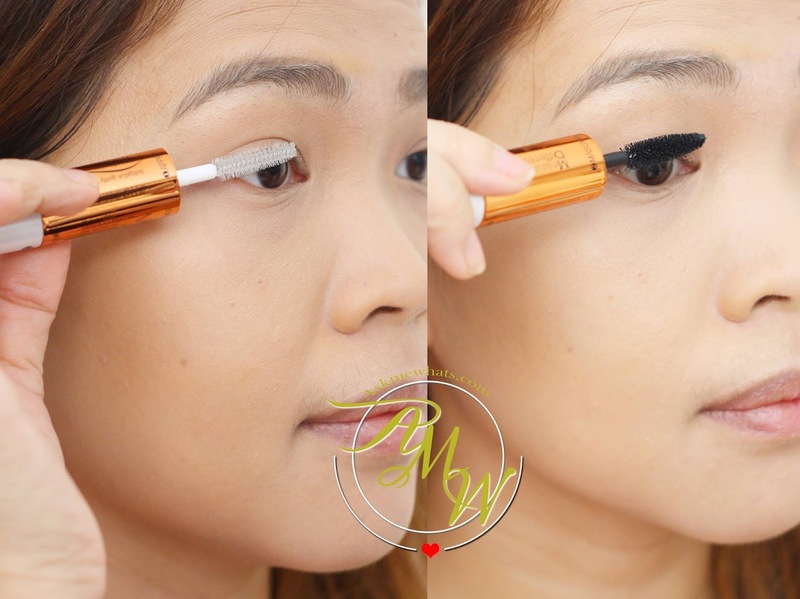 Measurable Difference Lash Amplifying Mascara and Primer costs Php769.75 (approx $17.00). Available in SM Department Store, Makati. Comes in a shiny orange and white packaging. Numbered 1 for Primer and 2 for Mascara. I like to apply the primer after curling my lashes and leave it for around 30 seconds. Next, I apply 2-3 coats of mascara depending on my mood. It gave definition to my lashes and my lashes look darker than usual. Overall, this is a nice mascara to try since the price isn't so bad for a 2-in-1 product! Will you give Measurable Difference a try after seeing my result? Whoa it doubles the length of your lashes though I would be more glad if they have stores here in Q.C. I am not a mascara girl but I definitely want this!